Home » What's On » Responding to ageing demographics: A positive view from a public administration and public policy perspective. Responding to ageing demographics: A positive view from a public administration and public policy perspective. The focus of this paper will be to try and redress the perception of ageing as a social challenge which is generally the line taken in public policy literature in particular the focus on resources such as pension pressures, workforce challenges and social and medical care. Rather this paper will examine what has been variously described as ‘active ageing’ or ‘positive ageing’ and identify trends in the lifestyles of the increasing older generation. In effect the paper will explore the concept of an ageing demographic as representing an ‘opportunity’ rather than a ‘challenge’. (Vincent 1996, Walker 2008, Zaidi et al 2017). 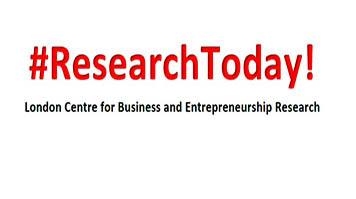 The trends will be explored in the context of both public policy and public choice and will include lifelong learning, a redefinition of ‘retirement’ away from a date to a graduated transition, the importance of technology and the likely and emerging changing lifestyle choices of the ‘baby boomers’ and successive generations. (Hyde and Phillip-son 2015, Damant and Knapp 2015, Withnall 2015). The methodology will draw on major studies such as the UK Foresight project and OECD studies and will access the growing literature on positive and active ageing.